Today is a little rushed, since I had a busy day. Science is dangerous. So the Elric brothers must learn the hard way. 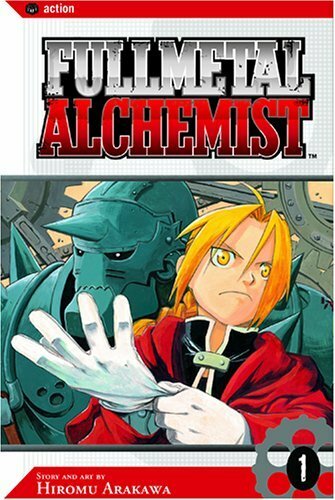 After loosing their mother to sickness, Alphonse and Edward Elric decides to master the science of alchemy in order to bringing her back to life. But, like Icarus, they learn how dangerous it is to play God, and pay a huge price. Now, left as crippling, and no mother, they have learned that man was not meant to play with life. But they also know that they will do whatever necessary to regain their humanity, including signing up for the military as state alchemists in order to have access to the most advanced resources. Because their is only one thing that can help them; The legendary Philosophers Stone. I think it's needless to say that this manga, sadly, goes a little Dragon Ball in the end, but its actually a great tale about the horrors of science, and two young men trying to restore their humanity. I would like to add that you have to be prepared to a fair amount of gore in this horror-tale of science. But i'ts also a lot of fun, too:) Its a manga after all. Sorry that it was so short today.